Power Generators & Maintenance cost? I suspect it was written this way with a thought to prevent players from trying to get around the power limitations on portable power supplies. "sure you can have a power generator but you'll be broke by the end of the week!" or it might be to represent fuel cost but the book discription indicates solar, hydro, nuclear or thermal as possible power sources so that cant be. Plus would a Nuclear generator cost the same to run as a solar? the cost per day just seem odd and way too high to me. I think you need to shop some place else if you buy something and it needs that much money to keep running daily. What do you think about maintenance cost being for the year unless there is a fuel cost. As written it costs 1cr to generate 100 SEUs if you ignore the purchase price of the generator. Incidently the purchase price of a generator is equal to the amount of SEUs produced in a day. require players to charge other devices like parabatteries and backpack to power personal equipment- no jacking directly into the generator. a type 1 generator produce 8.33 SEUs/minute so I guess they just dont work for powering things in combat. So a base with generator would also require a parabattery to run equipment. It also seems odd that KH never specifed a generator for ships. chemical rockets dont produce electrical power though a Standard Energy Unit isn't explicitly described as electricity either. Seems to me a nuclear generator of some type would almost be a must for a space ship even if its engines produce power that could be siphoned off. I think I would set that cost as per week or per month. But, as a gm, I have a bad habit of over compensating when it comes to the reward/loot stage for my pcs. I think for "power generator," read either "motor" or "powerplant." The smallest types would be like your basic diesel jenny, used to power camps, mecha and things of that nature, while the largest ones are akin to true power generating plants. You know for a solar powered generator there was never any rules as to how many panels you need to run such a thing either. And not what size of a nuclear reactor was needed either. Because the rules could be abused if you had a reactor no bigger than a portable generator what's to stop you from mounting that reactor in a large vehicle. And for a solar powered one how many batteries do you want for stored power? Especially if you're using a lot of power intensive stuff at night. Not to mention that there isnt much out there that talks about power consumption outside of weapons and vehicles. How many SEU's does your standard microwave oven use for one minute? What about those wonderful Dralasite steam baths that everyone raves about? 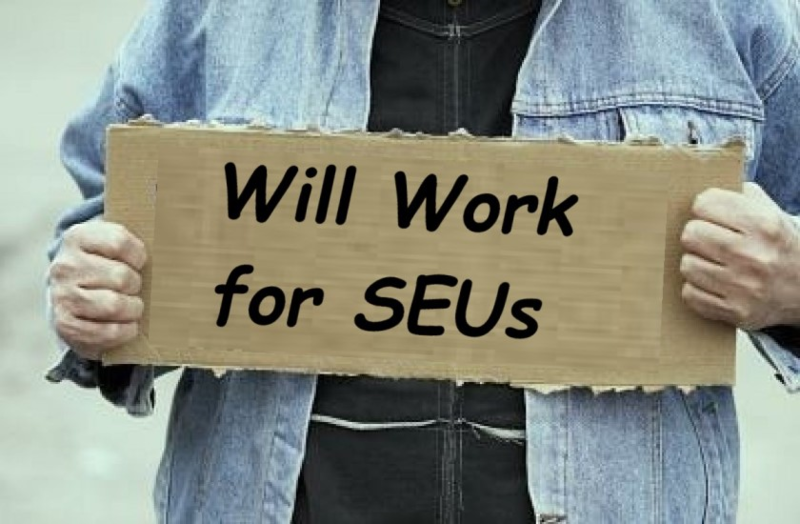 how many SEU's per hour does it take to poach a Dral? And what about a base camp? Lighting, computers, and all that other fun & expensive equipment. if we reduce running cost for generators to a nominal fee than players could say "we're using the type 1 generator to run the base camp and top off the parabatteries on the robots (even though they were just charged yesterday) - Even though they rule of thumb says X SEU usage adding on topping off the robot's parabatteries wont be a big deal as the rule of thumb number was pretty abstract to begin with. It might be easier to make an estimate for some items run on very little power, after all in reality it takes a lot of power to make a beam of light that will burn a hole in some one or something. So it's clear lasers would be very power intensive things, so it can be taken that although computers and microwave overs use power they are much more efficient at it. It might take you 1 SEU just to cook your whole meal, your computer might just be a laptop and just recharge it like a robot good for a whole day of use. So we could say the PC's battery has a 40 SEU charge and is good for 24 hours, or give it a 1 SEU per hr of run time. Ok, admittedly i was just being facetious when I brought up the microwave. Do we even need a microwave? I'm sure we could come up with something more SF, a plasma oven. It doesn't matter if you were being facetious, had to have some thought and now fun with it. No we dont really need microwave oven and I think the description of survival rations in SF0 precludes the need for cooking. but I do like the idea for totalling the wt of equipment to be run off the generator and use that for SEU usage. It follows the KISS rule of keeping things simple. I would guess charging it hourly if there is a need to track power would work. I suppose we could specify type one for a base camp, type 2 for a few buildings , type 3 for the size base in SF1 module and Type 4 for a big sky scraper . we could also presume even bigger generators used for cities that just dont belong on the equipment list. I still dont like the idea of a high cost for running a generator. Our Admin logistics center has 2 15KW generators and a 18KW Drash System with AC attached. thats 3 trailers* Our food service section have 1 15KW generator and two 3KW on skids with the mobile Kitchen trailer. Our tactical Operations Center (Battalion Command Post for you old timers) has two 18KW Drash w/AC and 2 more 18 KW generators. for asll it bells and whistles. They dont use paper maps anymore everything is on computers. I can't imagine a SF Character using a paper map in a base camp. These all consume about a gallon of diesel fule every 1 and 1/2 hours. ie some poor soldier has to go out there and poor a 5 gallon Jerry can in there every 8 to 12 hours on each of these machines. A generator for a SF base camp that can sustain the kind of comfort level that SF charactersare used too. I dont mean adventurers (PCs)... I mean scientists running some kind of exploration or whatever. They would bring a long a lot of stuff and extraneus comfort items on that sort of expidition. I think minimum they would want a 60 KW machine, and a equal backup. If its fossile fuel, it would be expensive to run and maintain. Full Service every 500 hours... (3 weeks or so) thats a oil change and all filters too. I think they would go with atomic or solar or something they wont have to refuel a lot, I think it would be more expensive than those listed for adventurers. But I dont think maintenance cost including fuel would be that high. Unless they are running on Gasoline or other fossile fuels. Thats just from my own field experience. SF characters will want low cost, low maintenance and a backup in case one breaks down. On the other hand you get what you pay for. The option to buy a larger generator for a base camp should be allowed. It should be expensive, but what you buy with the initial cost should reflect that you are getting something you dont have to worry about too much. A machine you dont have to maintain and/or fuel, should cost even more at purchase. the Characters get what they pay for. The bombing starts in five minutes. I think if they can power vehicles with a parabattery, then that really ought to be sufficient to power somebody's campsite as well. I'd say just plug everything into your vehicle's power supply and carry a spare battery or two in the cargo area. Maybe an explorer or truck should have an extra battery for accessories like RV's do. I'm guessing generators are intended for something bigger, though I don't remember anybody ever using one in game. We don't know what an SEU is, but like someone said it has to be quite a bit of energy if it's powering laser weapons and such. Consider that the type 2 parabattery supposedly has enough energy to drive a car 1000km, and the type 2 generator produces that much power every hour. That's probably a lot more power than characters are going to need, and probably more than their camp needs too. So given that, here's my take on the original post: The characters won't need a generator unless they have multiple vehicles, robots, and power packs that all need recharging. If they can afford multiple vehicles, robots, and power packs then they can afford to run the generator for a few hours to juice everything up. Otherwise they should just carry some extra batteries. This topic could use its own story sometime... and dealing with the cost of an SEU at 5 Credits a pop... I think a 1970s Ford LTD got better energy usage at less cost... even with the fuel prices of a few years ago (nearly $5/gallon in Michigan). I always felt the 5Cr./SEU price was top of the line retail - the price you would pay to plug into a self-serve kiosk in store or mall to charge your device. Sounds about right. I'm thinking the recharge price should be 1 Credit/SEU and even that can be steep. I've felt like penning a story called "Will Work for SEUs"
Where an seemingly archaic adventurer, who only has projectile weapons, goes around riding on one of the SF mounts -- like a loper. A new hireling then asks him why he doesn't get a robot and a ground car and beam weapons. The adventurer takes the newbie to a part of town where other adventurers are begging for cash or work so they can recharge all their fancy devices. and yet on a star ship the PCs would be able to recharge for free. A crawler type vehicle could be outfitted with a power generator and it would recharge the parabattery and belt packs an etc. I've played in a game where 20 SEU clips were not rechargable but disposable. Not a fan of that. Yes, I created stats for a rechargable powerclip that is twice as expensive as a standard one... maybe it should be three times... It probably should have some kind of failure rate after X number of charges to force the character to buy more.